One of the better of Lipe’s many newish midrange resorts, Wapi occupies a chunk of what used to be Tarutao Cabana Resort around the centre of Sunrise Beach. Ad Book now! Rates from US$185++. Average rating 8.5 from 1,383 reviews. In addition to adding freestanding concrete villas set among casuarina trees with tinted glass-windows overlooking the sea, the Spanish managers gutted old rooms in attached single-floor buildings to create modern accommodation for those who like their comforts. Outfitted with tile floors, modern furnishings and soft beds, all rooms come with air-con and LCD TVs, and the two pricier categories also bag you a fridge and balcony. The rooms are immaculate with bright modern art to contrast a cool, minimalist design. Large bathrooms come with hot water, dark tiles and quality appliances. The refreshingly simple resort offers Thai massage and kayak rental along with a wooden sea-view deck with sofas and tables. The restaurant serves Thai and European fare and closes at 18:00, after which the resort becomes rather dark. Next door, Salisas Resort offers less-inspiring air-con rooms for around 500 baht less, and its Happy Vibe Beach Bar helps to make up for Wapi’s lack of a bar. Do make reservations at Wapi if you want to stay here in high season. Last updated on 10th April, 2017. A selection of some of our favourite sights and activities around Ko Lipe. 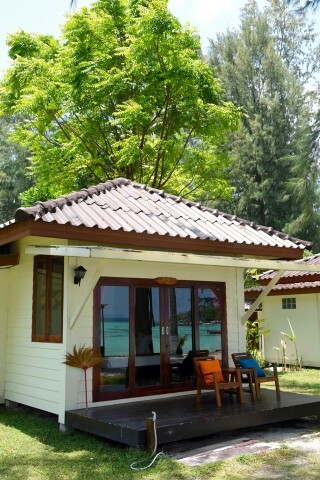 Where to stay on Ko Lipe? Where are you planning on heading to after Ko Lipe? 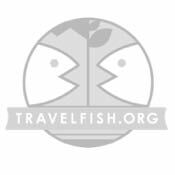 Here are some spots commonly visited from here, or click here to see a full destination list for Thailand.